The trance legend – Kenneth Thomas has reached a turning point and is about to transition to a new phase of life. I am looking forward to seeing what this new phase will bring for KT and his amazing family. Make sure you follow his page for more updates. Below is a copy of the announcement on his official facebook page. Twenty years ago this summer I had a dream in my heart, to take this sound I had so fallen in love with and make it my own. Trance was resonating through me. After I found this sound somewhere around 1997 I have always said “this is the sound I have always been looking for”. At a crossroads in my life at that time I decided to get turntables and start djing trance as a way to distract myself in that shifting season. Little did I know that this decision would lead me on a two decade life arc that would take me all over the world, connect me with incredible new friends from all cultures and countries and let me see how wonderful life is through the lens of a record box. I am at another crossroads in my life. A beautiful and wonderful crossroad, and again making a shift. It is time for me to turn the page on the chapter of my life that has been Kenneth Thomas. These next two shows that I have booked, April 6th in New York City and Saturday May 25th at The Grasshopper in Ferndale Mi will be my last shows as Kenneth Thomas. It is with such a grateful and blessed heart that I graduate into my next season. I look back at my journey, the last 20 years, and am filled with such awe that I have been able to walk in the things I have walked in, work with the incredible people I have worked with, experience so much and make so many dear friends. As I sit here now dreaming back over the past years, one of the things that jumps out the most is the COUNTLESS smiles I have shared with endless people at the shows. If you have seen me DJ, then you have seen me smile ear to ear. And there is a very good chance we have smiled back at each other. Even if we never met, never spoke words to each other, we shared a heart connection beyond this world. We resonated spiritually together for an instant, beyond ourselves. Those are the moments I will remember the most. Spiritually connecting with rooms and crowds of people all over the world. Verbal language did not matter. There is a deep level of power that trance music taps into. Its like a gateway to Heaven for just a few moments that can open up in our hearts. The presence of The Creator can fill the room. There is no sound on earth now or ever before that is like trance. Its the fragrance of Heaven, Gods life breathing through sound. There is a laundry list of dreams and goals that I leave on the table as I step away, and those things have at times weighed heavy on my heart. And to be transparent with you, even haunted me at times. I have wept many times chasing this dream. But the burdens of the industry all but flutter to ash as I turn the page and my heart comes alive in knowing all that this journey entailed and how incredible it has been. Gods creation never dies, nothing ever dies, it only transitions. And as I transition, I will still be making music. I will move into a new outpouring of the frequencies God has put in me for this new season of life. I will be writing house music with some good friends, I’m also involved with a beautiful new act stretching the boundaries of genres, I will spread my love of music and melody into songwriting, producing, scoring for film & tv and beyond. But for me to engage fully in what my next season is, I need to celebrate and move forward from the past season. Thank you so much for allowing me the honor of going on this journey with you. Thank you for your passion for what I have carried and thank you for allowing me any amount of time to share the melody of my heart with you through the thousands of tracks, dj sets and podcasts I have been a part of. I have been so blessed to be able to walk out this 20 year adventure with all of you. This entry was posted in News and tagged Detroit, Goshen Sai, Kenneth Thomas, movement festival. Bookmark the permalink. Hope you are having a great Monday. Here’s a link to stream/download my set from Grasshopper Underground in Detroit from last year. This entry was posted in News and tagged Detroit, Grasshopper Underground, iamphoenix, movement festival. Bookmark the permalink. Just a quick post with a new video I received from my sister ( Hannah) taken at Grasshopper Underground in Detroit. It’s just a short clip but gives you an idea what the night was like. You can hear the full set on #IAMPHOENIX page below. This entry was posted in News and tagged Andski, Detroit, Detroit Trance family, Grasshopper Underground, iamphoenix, Kenneth Thomas. Bookmark the permalink. This entry was posted in News and tagged Aura Wolfe, Detroit, Goshen Sai, Grasshopper Underground, iamphoenix, Kenneth Thomas, movement festival, trance, trancefamily. Bookmark the permalink. You can also listen on your mobile with the TuneIn radio app. This entry was posted in News and tagged afterhours, afterhours.fm, Detroit, Goshen Sai, Kenneth Thomas, movement festival, trance, trancefamily. Bookmark the permalink. I also have a guest mix on UCB Beats with host Deanna Fletcher. I will also be heading to Movement Festival with the team from GodsDJs and JesusLuvsRavers so hope to meet some of you there. This entry was posted in News and tagged Atlanta, Aura Wolfe, Deanna Flethcher, Detroit, Detroit Trance family, Goshen Sai, Grasshopper Underground, iamphoenix, Kenneth Thomas, movement festival, trance, trancefamily, UCB Beats. Bookmark the permalink. This entry was posted in News and tagged Aura Wolfe, Detroit, Goshen Sai, Grasshopper Underground, Kenneth Thomas, movement festival, trance. Bookmark the permalink. For everyone who missed my ‘mini-mix’ last week on UCB Beats you can listen to it again on their website by clicking the image below or you can download it on the UCB player. This entry was posted in News and tagged Deanna Fletcher, Detroit, GodsDJ's, GoFundMe, Jesus Luvs ravers, movement festival, trancefamily, UCB. Bookmark the permalink. 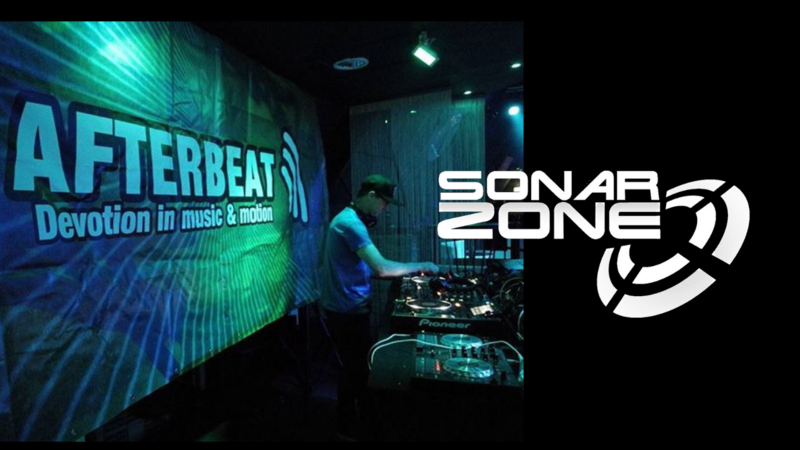 thanks so much for listening in to the Afterhours FM Takeover event with Deepsink Digital Records. The event forum on www.ah.fm/forum was going crazy with people tuning in from all over the world to the event. This entry was posted in News and tagged afterhours, Detroit, Fuzion Four, Fuzion Four records, GodsDJ's, iTunes, mixcloud, trance, trancefamily, Transform DJs. Bookmark the permalink. Hi everyone, I have decided to stop the automatic emails you get every time I post a blog as I don’t want you to fill up your inbox. If you still want to get updates each time I update the blog, look for the ‘follow blog by email section on the right hand side of this page. My bi-weekly show on Audacity FM is gaining listeners from all across the world – it’s exciting to see the stats, and see where everyone is listening from. I will be heading to Atlanta in March for a DJ/Mission trip and I am currently looking for donations to help with travel. This entry was posted in News and tagged Atlanta, Audacity FM, Detroit, GodsDJ's, GoFundMe, mixcloud, trance, TuneIn radio. Bookmark the permalink.